Whether you loved her in The Queen or admired her in Woman In Gold, you’ve probably been wowed by the acting abilities of Dame Helen Mirren. Now 73 years old, Helen Mirren also appears to still be wowing people with her beauty and physique. 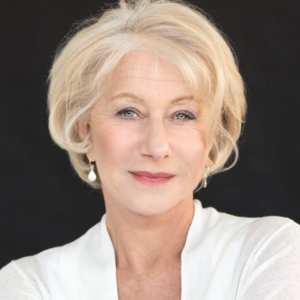 Having just been voted the somewhat frivolous award of “celebrity who has aged the best” (along with Richard Gere, her male counterpart), Mirren has had a long and distinguished career that includes acting on stage, screen, and television. Born Ilynea Lydia Mironoff, the granddaughter of an exiled Russian diplomat, Mirren was given the honorary title of Dame in 2003 by Queen Elizabeth, 3 years before she portrayed the same queen in the movies. If you’re looking for further evidence of her stardom and distinguished career, take a look at her official website, or a video montage of photos that span virtually her entire life and her career. Finally, just to underscore what an important place she’s had in the world of British filmmaking throughout her decades of work, take a look at this recent article in the Guardian that has ranked 61 of her films!